Keep Britain Biking is your number one online biker community that features all the latest; biker news, offers for online motorcycle retailers, real life biker blogs, forums and much more! Be sure to meet the Keep Britain Biking team during your time at the festival. Devitt are proud to be supporting Brackley Festival of Motorcycling. With almost 80 years’ experience arranging insurance for UK riders, Devitt certainly know what they’re doing when it comes to making sure you’ve got the best cover! Visit the Devitt team at their stand and perhaps take part in their competition…we hear they’ve got some great prizes to give away! 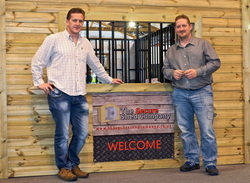 The secure shed concept was born, this is a shed designed to look kind to the eye as it is manufactured from timber like most normal sheds, however, this is where the similarity ends as they are bespoke and can be designed and manufactured to blend in with any property, these sheds are completely secured inside by the fitting of a cage lining which is secured to the outer timber walls and protects the entire inside of the shed, manufactured from 2.5mm thick 1” steel box section which is set at only 5” apart it is almost impossible to get into and remove items without some serious power tools, time and a whole lot of noise. 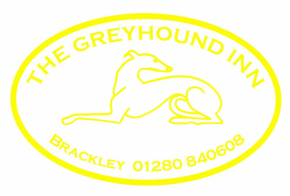 The Greyhound inn is a free house offering a selection of real ales, fine wines and serves home cooked food every day. Whether you just want a quick drink to escape from shopping or need to wind down from hard day at work or as simple as enjoying a long lunch or tasty evening meal then The Greyhound Inn is the place to be. On the warmer days sit and relax or alfresco in our lovely courtyard and for the wintery times snuggle up by one of our open files with a glass of mulled wine or pint of real ale. Whatever you are looking for the Greyhound Inn has something for everyone, so please drop in. We will be open all day serving breakfasts from 10am on Sunday 16th August.